First of all we should note that only part of Bermondsey is in SE1; much of the area lies within the SE16 postal area. The 'Bermondsey Village' area centred on Bermondsey Street has seen an upsurge in artistic and commercial activity in recent years. Bermondsey Street is lined with trendy bars such as The Garrison and Village East, soon to be joined by The Hide Bar. The Bermondsey Kitchen and the Delfina Studio Cafe complete the restaurant scene. There are a number of small art galleries in the area, but the sale in 2006 of Delfina Studios studios to a property developer marks a key change. The Fashion and Textile Museum founded by Zandra Rhodes remains a beacon on Bermondsey Street (the colour scheme means it's unmissable). At the southern end of Bermondsey Street, on the site of Bermondsey Abbey (founded in 1082), is Bermondsey Square - home since 1949 of the Friday morning New Caledonian Antiques Market. In late 2005 a major revamp of the Square finally got under way. The antiques market means that Bermondsey offers several antiques shops and warehouses which are well worth checking out, though these have seen a marked decline in recent years. 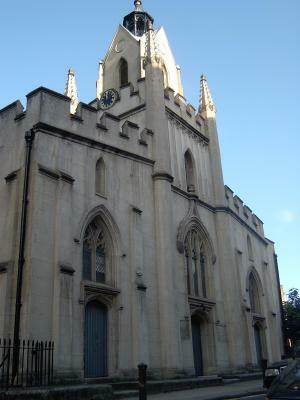 Bermondsey's main parish church is St Mary Magdalen's in Bermondsey Street. Haddon Hall Baptist Church is in Tower Bridge Road, whilst Methodists are catered for at Bermondsey Central Hall. Bermondsey derives its name from "Beormund's Eye". The area owes much of its importance to the proximity of London's docks, making Bermondsey and its environs into London's Larder, where food was processed and stored. To the south of Bermondsey lies Old Kent Road, with large stores such as Tesco, Asda, Lidl, B&Q and Halfords. Property is very much in demand and prices have risen steeply in recent years, so many new estate agents have sprung up to service this demand. Celebrity residents include Zandra Rhodes, Jonathan Meades, the Chemical Brothers and Marc Almond. A Premier Inn opened on Tower Bridge Road in 1999, and there are proposals for several boutique and aparthotels around Bermondsey Street and Bermondsey Square. At present London Bridge station is the area's main point of access to the transport network. Bermondsey has its own station on the Jubilee Line in Jamaica Road SE16. Locals have long campaigned for it to be brought into zone 1. South Bermondsey overground station is served by Southeastern Trains. For full details of North Bermondsey, see our Butler's Wharf and Pool of London pages. Attractions include Hay's Galleria, Winston Churchill's Britain at War Experience, the Design Museum, HMS Belfast and the Tower Bridge Experience.